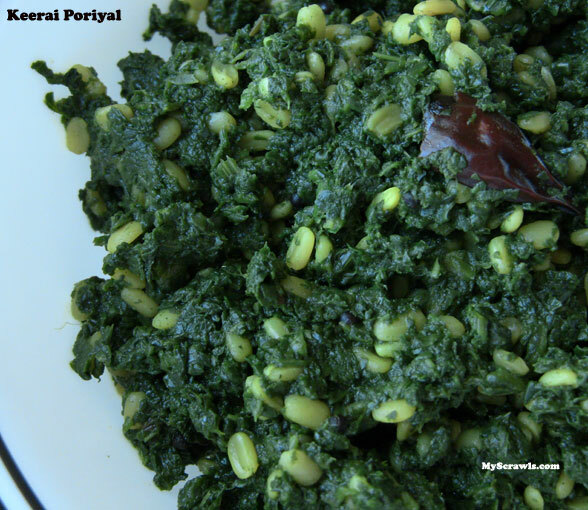 Here is a simple recipe of Spinach poriyal with moong dal. Cook dal adding salt and turmeric to it. Ensure that dal is not overcooked and it retains its crunchiness. Meanwhile wash, clean and chop spinach. Heat oil and do seasoning with mustard, cumin seeds, red chillies and hing. Add spinach and fry for 2 minutes. Add Salt and allow the greens to cook. Once done add cooked dal and mix well. 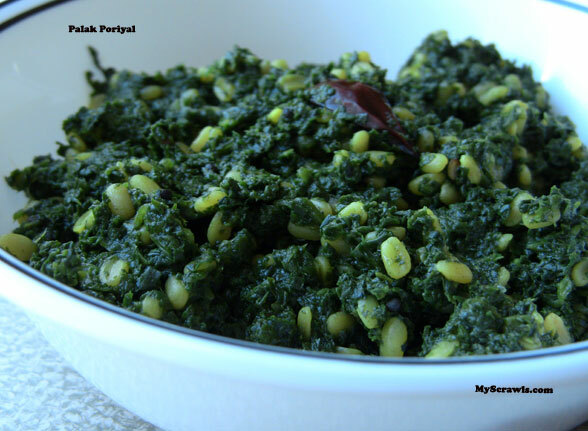 Enjoy spinach poriyal with hot rice and ghee. PS: Add grated coconut if available before serving. Yummy and healthy recipe.. looks amazing !! This is so nice,.i never make poriyal. must do it.